Today's dieter must make constant choices regarding consuming fats versus carbohydrates. In August, a National Institutes of Health-funded study made national headlines, dealing a damning blow to, of all things, a low-carb diet--often recommended for cutting weight and reducing the risk for diabetes. The suggestion from the study: among the 15,000 adults age 45 to 64 studied during a median period of 25 years, those whose carbs consisted of 40 percent or less of their diet had the highest mortality rate. In short: cutting out that daily bread might not matter. 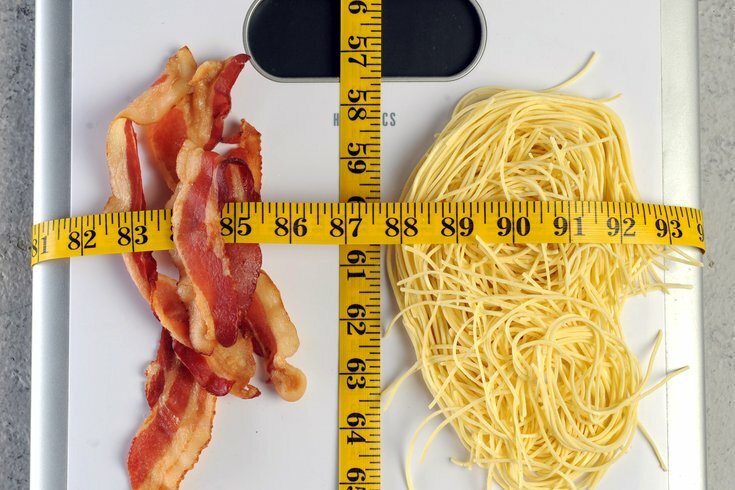 Here, Janine Kyrillos, director of Jefferson Health's Comprehensive Weight Management Center, debunks the study's findings and offers some straight talk on modern nutrition, the keto diet and why we should all be eating more fat. Will a low-carb diet really send you to an earlier grave? Is there anything to that? We don’t think so. That study in particular had a lot of flaws in it and it was very easy to pick apart. In general, people who follow a low-carb diet are healthier, they have their diabetes reversed, cardiac risk is improved...it’s very difficult to do long-term nutrition studies, so to give absolute answers is difficult no matter what diet you’re looking at. If [Jefferson] came out with a diet that said ‘keto will make you live forever,’ that would be flawed, too. Their takeaway, in part, seemed to also be that plant proteins are better for you than animal proteins. Is there anything to that? There are some studies that will say that, but in that study, I don’t think it’s possible to make that conclusion. It is an ongoing debate, among plant-based proponents versus keto proponents. I will say that if you lived in this climate before refrigeration, you weren’t getting much plant protein most of the year. So, I don’t think that’s really how our bodies evolved to live. For those who don’t know: What is keto? A ketogenic diet is a lifestyle where people get the majority of their calories from fat and very minimal calories from carbohydrates. In general, 5 to 10 percent of your dietary, caloric intake is from carbohydrates and 65 to 70 percent is from fat, and the rest is from protein. And what that does is, in modern society, our bodies live on sugar. We burn sugar as energy glucose for energy. With the keto diet, we train our bodies to use fat for energy. And in that process, fat is broken down to ketones and that’s where you get the ketogenic diet. Has anyone looked at that diet for a nutritional study? There are a lot of nutritional studies, looking at diabetes and cardiac risk, mortality, and I often say this: Nutrition is like religion and politics. I can swear by my philosophy and give you lots of studies behind it, in the end, nutritional studies are really difficult. People don’t remember what they eat, they lie about what they eat, it’s hard to look at it long-term. And I have to say the keto diet has been studied much more in people with epilepsy. The diet is officially used in children with seizures. The thought is having more ketones in the brain is protective, and changes some of the environment in the brain and electrical activity. There are even studies now looking at the diet with head injury and other neurologic brain disorders. Keto is really counter to what the popular notion of what was nutritionally healthy 30 years ago, no? Yeah, well, look what happens to everybody in the last 20 or 30 years. Basically, what happens is, in the ‘60s and ‘70s, the government, FDA, the USDA, decided fat was bad, making people fat and clogging arteries, so they recommended people minimized fat and they brought fat down to 30 or 10 percent of their diet, and because fat was gone they had to eat something, so they ate more carbs, and diabetes, obesity – in the past 30 or 40 years – has skyrocketed. What happens when you take fat out and just eat carbs, you’re hungrier. Your body isn’t getting what it needs, so it needs more. Even though fat has more calories, in the end, you usually have more calories because you’re not satisfied and keep eating. • Because the study did not take into account those who were dropped from the study upon being diagnosed with diseases like diabetes, results are likely unreliable. As are most long-term nutritional studies, argues Kyrillos. • Established studies have already determined that diabetes can be reversed with low-carb diets, says Kyrillos. • The current recommendation for a healthy diet? More fats, a reasonable amount of protein, and bringing carbs down to the 10-percent range. • Part of the argument for more fats: They may pack more calories, but people are generally fuller longer. • Everyhing in moderation doesn't really work for many people, primarily because they seldom stick to it. For a lot of people, I think their nutrition is habit. They eat what they’ve bought for the week and keep buying. A lot of our habit—you think it’s all in your control, but so much is dictated by the dietary guidelines, marketing, what’s around you, but when you eat sugar and carbs, you have cereal for breakfast with sugar on it and bananas and skim milk with no fat. You eat it, and right away your insulin levels spike. And your blood sugar drops and you’re hungry again. If I have someone change their breakfast to bacon and eggs and tell them, ‘Don’t eat until lunch,’ they can do that. Build a different approach to it. But habits are hard to change. The one agreeable point from the study seems to be moderation. Is that still a kosher idea in nutrition? Carbs in moderation? Yes, but those of us who look at the low-carb diet, it’s hard to do carbs in moderation. The average American has 200 to 300 grams of carbs per day. A banana has 20 or 30 grams of carbs; a half a bagel has 20 or 30 grams of carbs. An average American has 200 to 300 grams a day. Keto people have less than 20 grams per day. What I find with my patients is that the ones who say, ‘OK, I’m going to have in moderation, 100 grams of carbs, have a much more difficult time maintaining it than those trying to stay under 50. People eating more carbs, it’s almost like a drug. The more you eat, the more you want. Ideally, moderation of anything is good. But most people can’t do it. And us telling people ‘Do everything in moderation; eat less, move more,’ hasn’t worked for 95 percent of people. With the study, the difference in how long people lived was very small – a matter of a few years – which makes you question how much a few years actually matters in the context of changing your whole diet? I have a hard time even talking about that study in any credible form. People in that study, if they developed diabetes or heart disease, they were taken out of the study. So, how many years they lived makes no sense at all because plenty people taken out died earlier and yet they’re not counted. And they had six questionnaires and only used two. What happened to the other four? Why didn’t they use them? And they didn’t talk about whether they smoked—the study was disappointing. They made these huge headlines and swayed people’s opinions based on a study that made no sense. Maybe the problem is literacy? I imagine a lot of Americans just don’t know a low-fat diet isn’t necessarily heart healthy. Literacy is some of it. A lot of it is guidelines given, the food environment, you can’t get anything for breakfast that’s not carbs. You go anywhere and it’s donuts and pastries and cereal. Some of it is literacy, but a lot of it is a default. Any progress on that front? With access to more foods. Not a lot. Maybe a little bit. Sometimes, if I go to a conference, they’ll have a hard-boiled egg. It’s slow. If you had one message you wanted to get out there, what’d that be?